Cheers to the chillest couple ever! 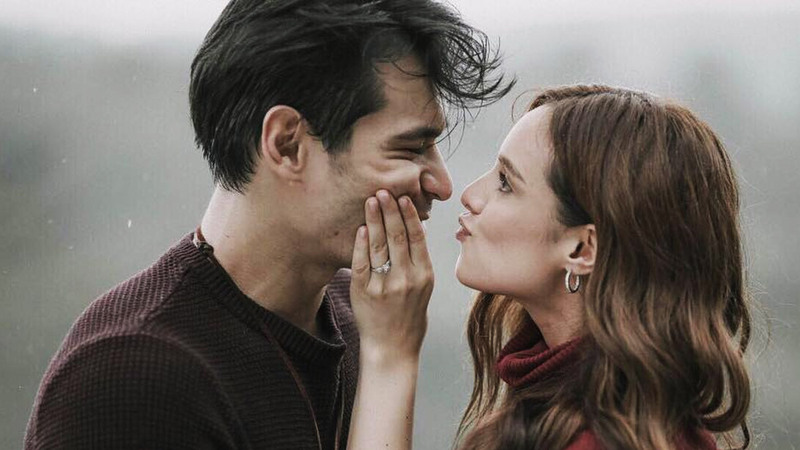 With the release of their super ~cool~ save the date video, it's confirmed that GMA Network artists Pancho Magno and Max Collins are set to tie the knot on December 11. The video, edited in muted colors, fast cuts, and overlayed with a rocking soundtrack, shows the couple's love for adventure. Pancho and Max are also beautifully chill wearing matching leather and denim outfits. In an interview months before they got engaged, Max said that the two were taking things slow, as they both enjoyed working on their separate projects. But, if Pancho would ever pop the question, she would not hesitate to say "yes."